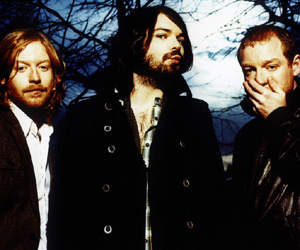 Queens of the Stone Age singer Josh Homme will feature on the new album Only Revolutions from Scottish rockers Biffy Clyro. Biffy frontman Simon Neil didn't reveal which song Homme has contributed to, but was quick to praise the desert rocker's guitar skills. "He came to the studio and listened to the song and two minutes later, he was playing the best guitar solo you've ever heard", he said.